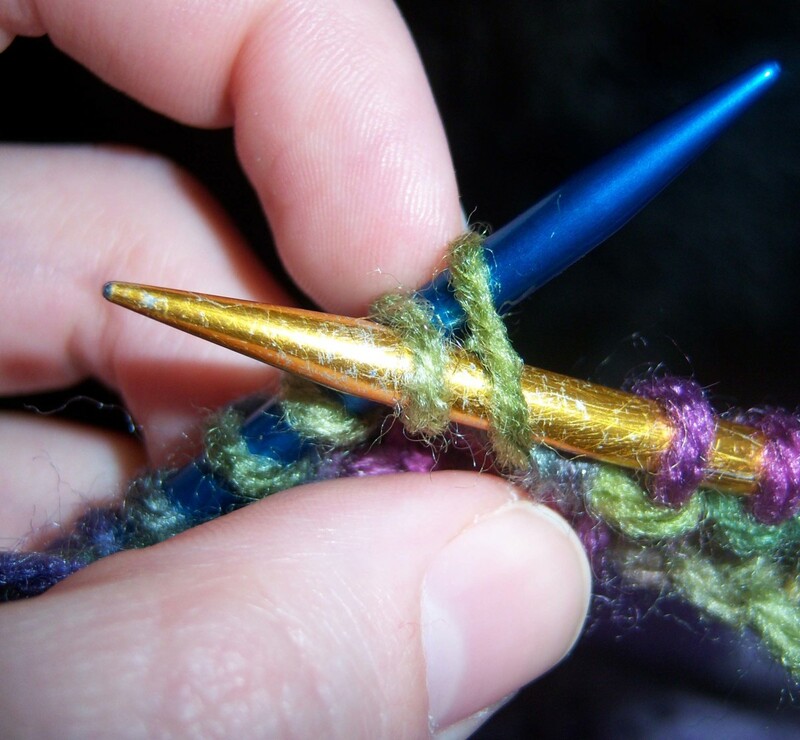 There are two basic stitches in knitting: the knit stitch and the purl stitch. With these two stitches, you can create all sorts of patterns. For the sake of simplicity, I’ll work the stitches from the left needle to the right needle. However, you can work rows in either direction. 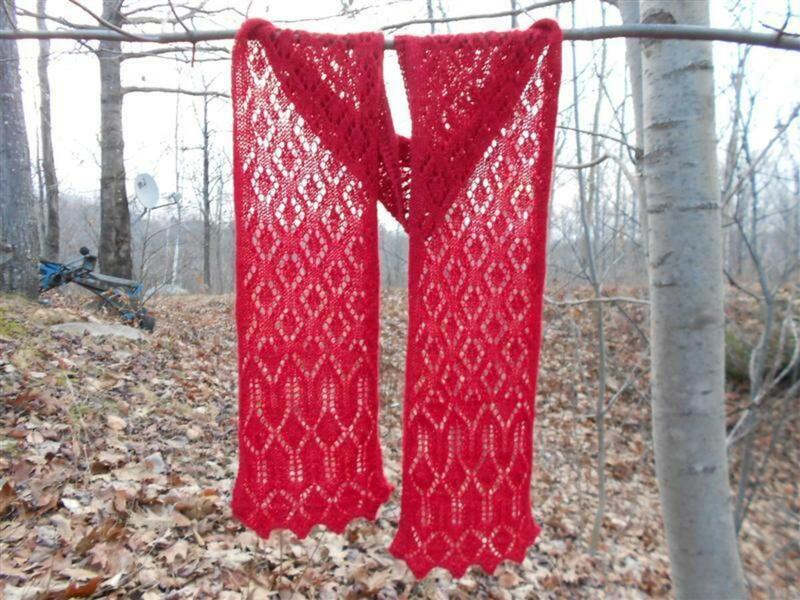 You may notice that though some patterns instruct you to turn the fabric around every time you start a new row. This makes it easier for some people to keep track of the stitches the pattern requests. When I tried that method, I got more confused than when I simply change directions when I reach the end of a row. 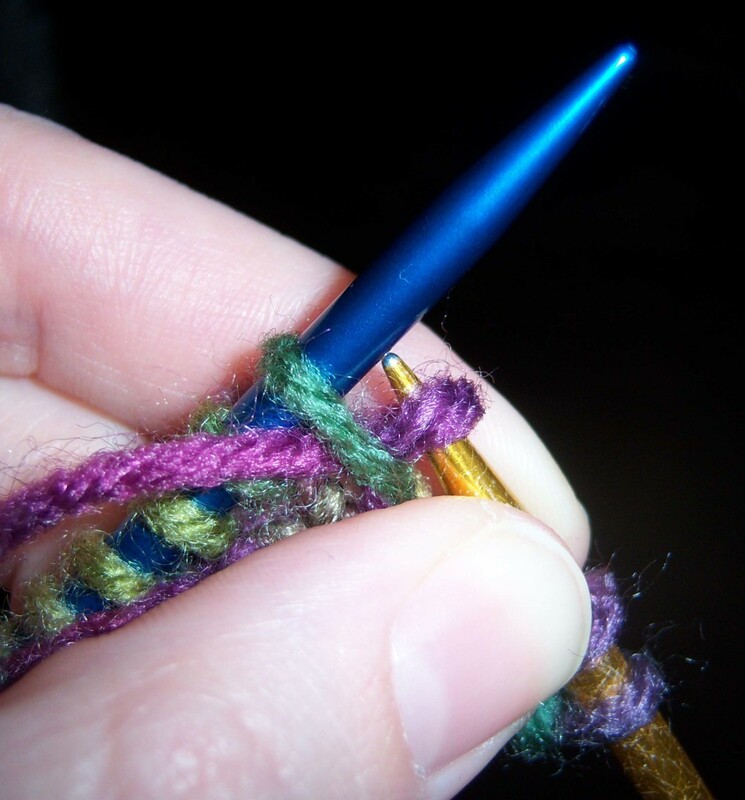 Before you start, make sure the tail of your yarn is hanging down the front of the project, instead of behind it. 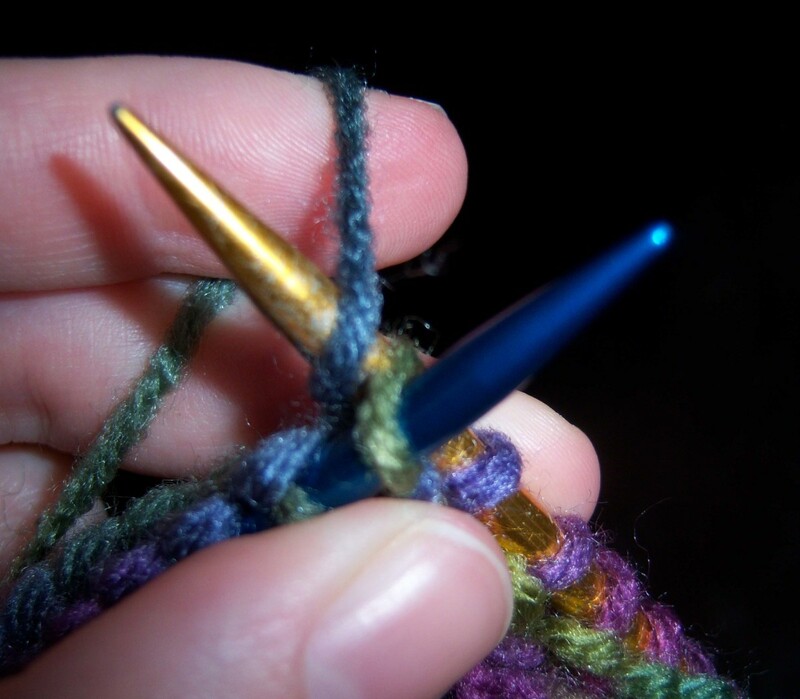 Slip the tip of the right needle through the front of the last stitch on the left needle. Loop the yarn over the tip of the right needle. Pull the yarn tight, and press the two needles together. 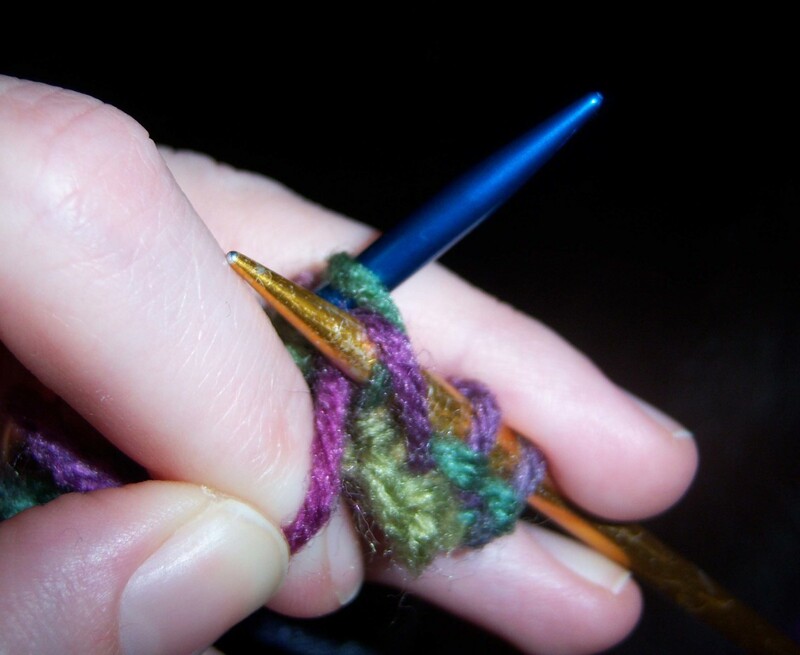 Once you start going quickly, the needles will click together when you do this. Draw the right needle through the loop just enough to come out on the other side of the existing stitch. Don’t let the loop of yarn drop from the needle. Let the stitch drop from the left needle. You now have another stitch on the right needle. Congrats! You’ve just knit a purl stitch. This basic type of stitch is also used in some more advanced techniques. Some patterns will call for you to reduce the number of stitches in a row by purling two stitches together. 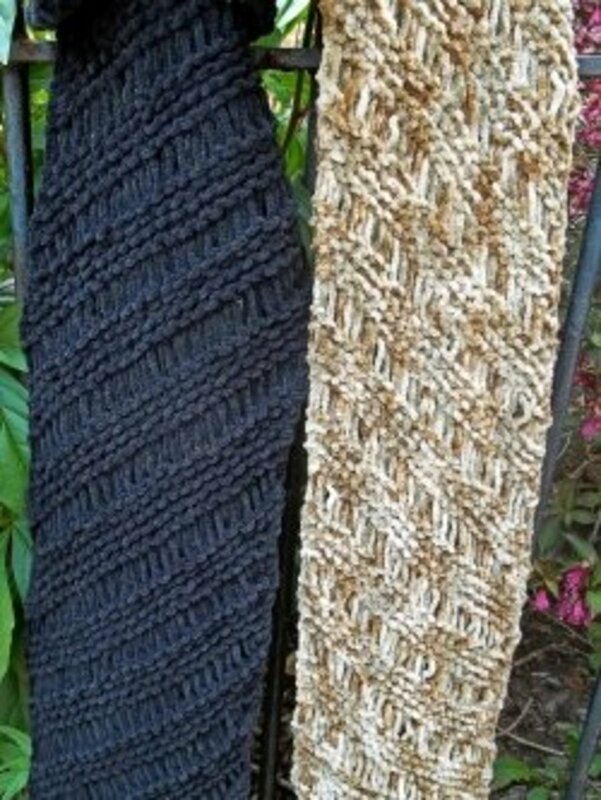 This is just like the simple purl stitch, but instead of slipping the right needle through one stitch, you slip it through two instead. You’d use this stitch to reduce the number of stitches in a row. It’s commonly used when making hats, socks and gloves. This type of stitch is used to increase the number of stitches by one. It’s relatively simple to do, but it can take a little bit of practice. Follow these steps to do this one. 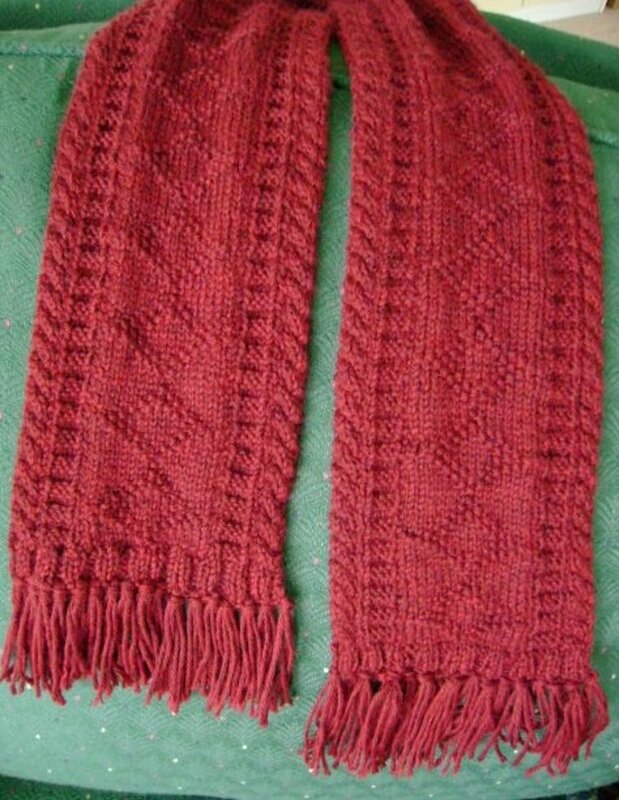 One of the remarkable things about knitting is how much you can do with just two basic stitches. Although using just one stitch is easier, when you combine purling and knitting, a new world of projects, patterns and textures is opened. 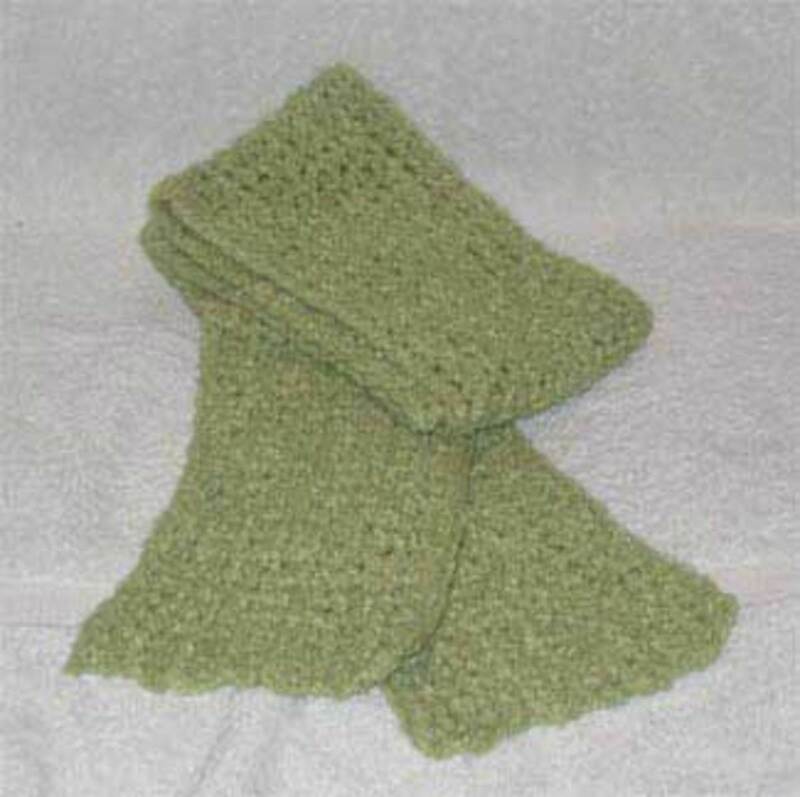 The purl stitch is used for quite a few different reasons. 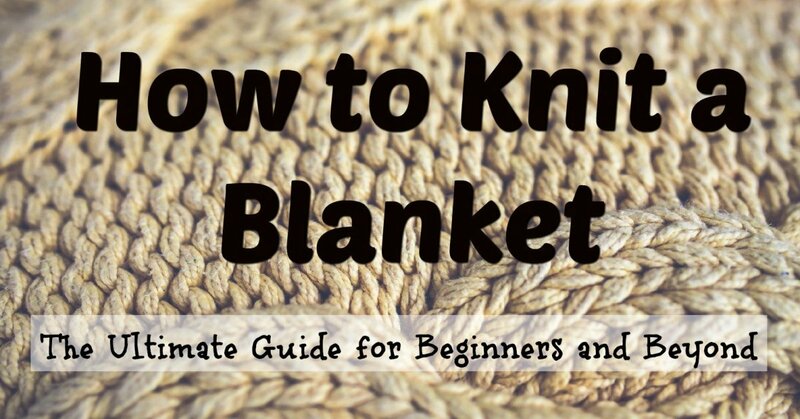 Although learning how to knit can be a daunting project to undertake, when you start with the basics, you’ll be surprised at how quickly you’ll be able to complete more complicated projects. 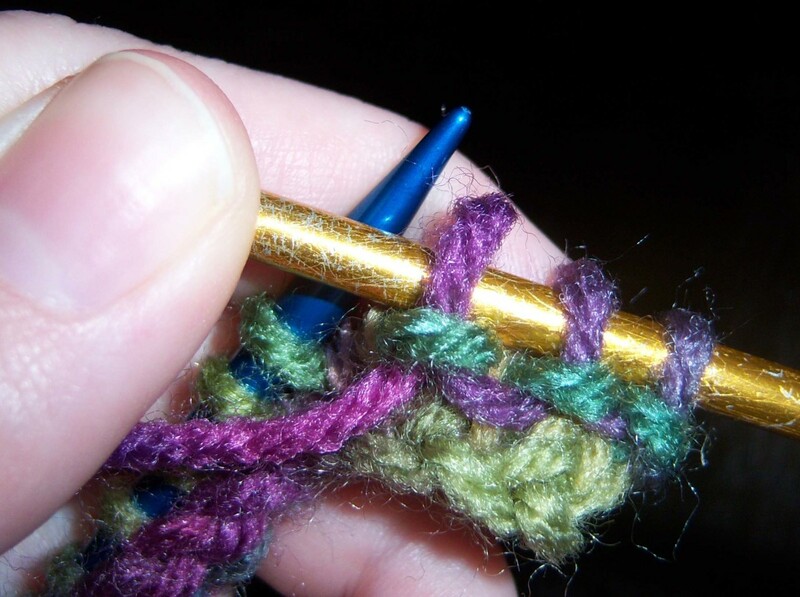 Slip the right needle through the last stitch on the left needle as if you were going to purl. 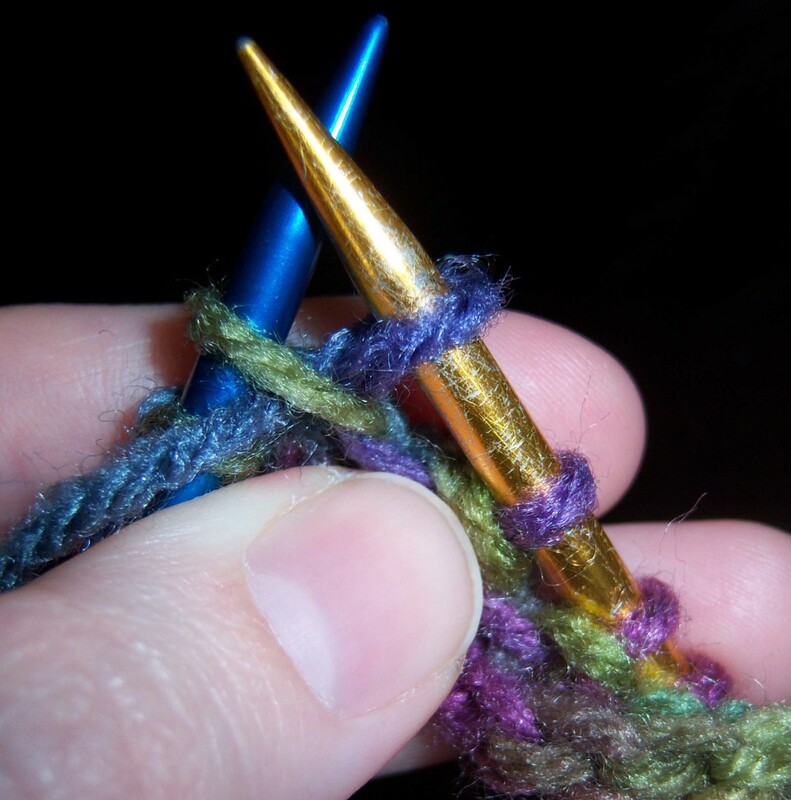 Pull the yarn over the tip of the right needle, and pull the needle through, so you have a new stitch on it. Leave the old stitch on the left needle for now. 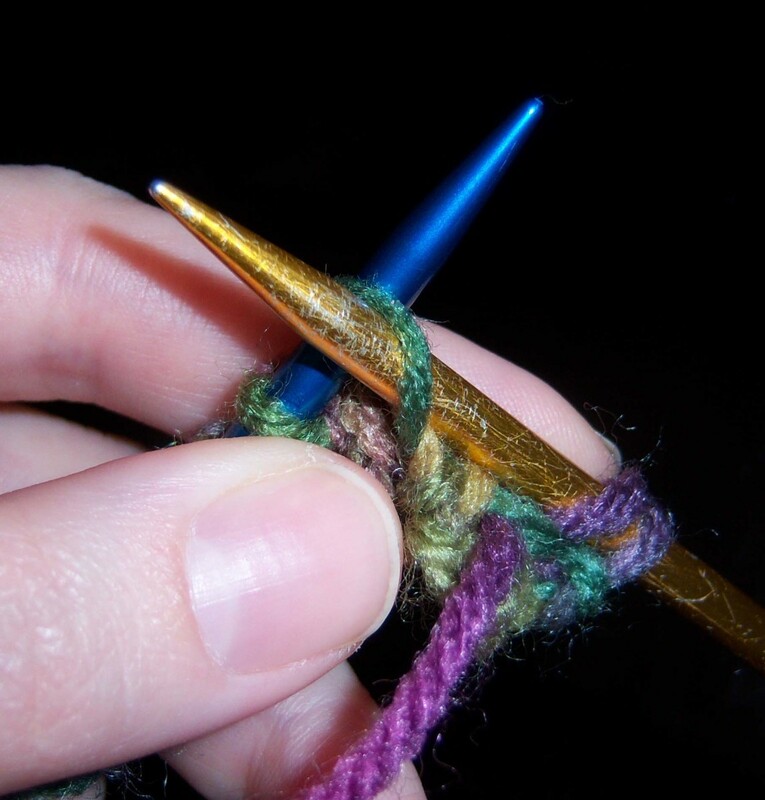 Draw the yarn between the two needles, and let it hang down the back. Insert the right needle into the stitch on the left, behind that needle. Pull the old stitch from the left needle. 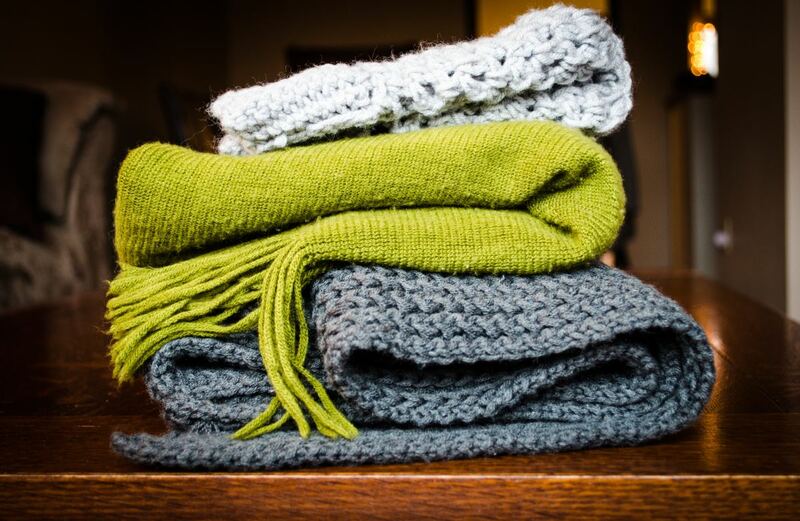 You’ll be left with one stitch that looks purled, and one that looks knit. However, when you continue with the project, only someone who’s looking for it will be able to see it. I'm so glad it helped!! I also had a very hard time learning out of books, mostly because so many of them were poorly written and the pictures weren't much good. Cool vid. Know just the niece to recommend it to. She seriously needs some better hobbies lol. Thank you! It was the easiest way I could think of. :) Glad it worked! I love how you use different colors of needles in your photos to make it easier to follow! And that's exactly how I felt with crochet for quite a while. 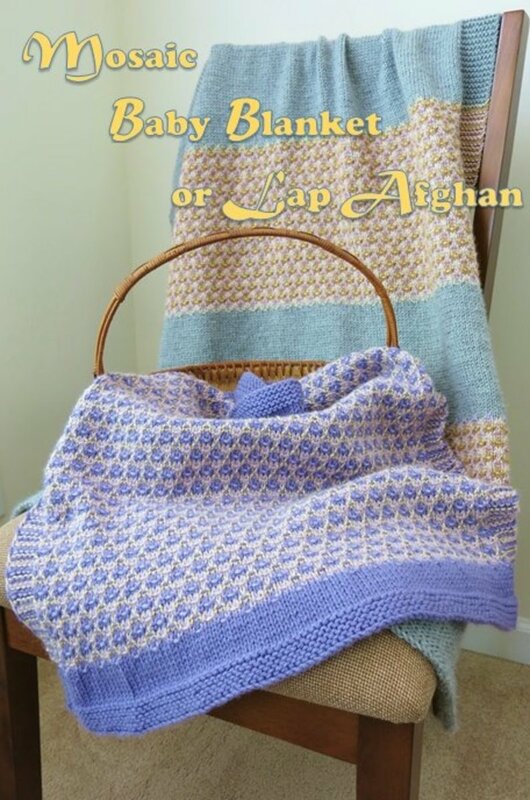 I'm still struggling to get some of the more complicated patterns down with both knitting and crocheting. Great pics and video! 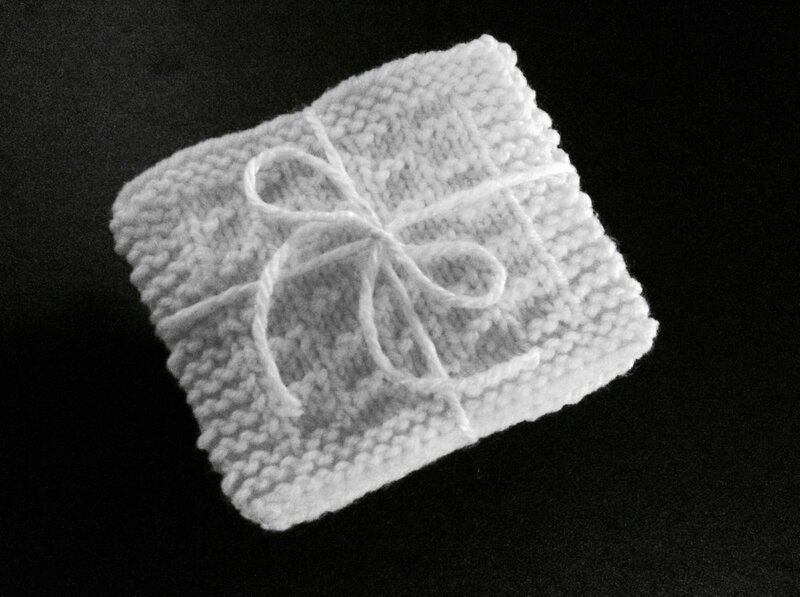 The purl stitch is about all I can do.